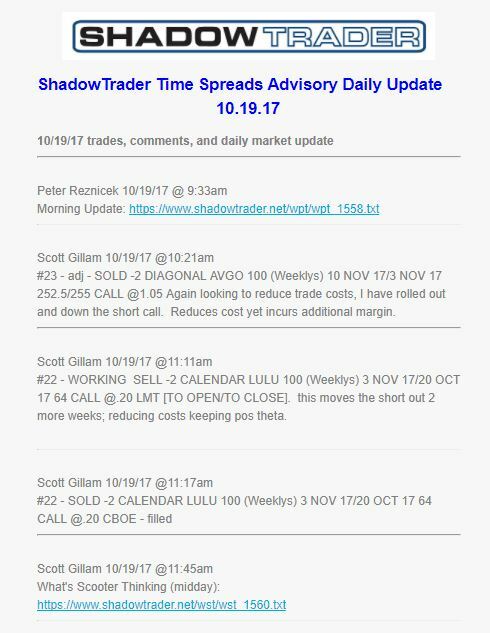 The ShadowTrader Time Spreads Advisory uses options to take a longer term approach to the markets. This advisory trades mainly in spreads that are long options of durations from 3 weeks to 3 months and short options against those longs with durations of 1 to 3 weeks. These “time spreads” can be of the calendar or diagonal variety and can be placed using single options or vertical spreads. The advisory is well suited to traders who enjoy some level of active management in their trading but are not ready for the faster pace of trading strictly in weekly options. Managed by Scott Gillam, ShadowTrader’s Senior Options Strategist, the advisory seeks to establish 3-4 new positions per month. 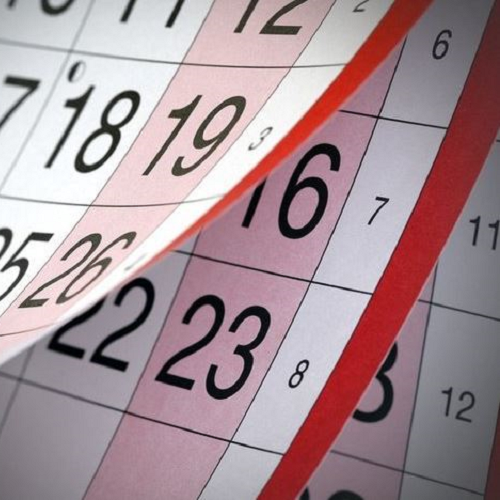 As the trades are longer term in duration, the advisory may have 7-10 open trades at any given time which will usually get one roll per week where short options are bought back and resold for more credit in a further out expiry. All trades are sent out via text message in real-time. 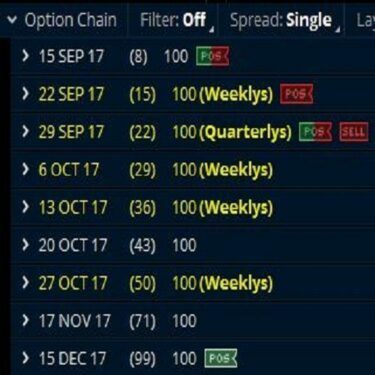 Options trades are cut and pasted directly from the filled orders section of a real money thinkorswim account. 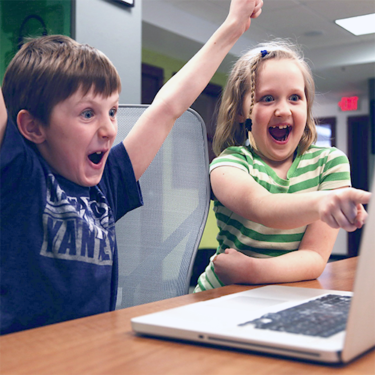 At the end of each trading day, subscribers will receive an email detailing all trade activity that for that day. All trades, including p&l on all options bought and sold are recorded and tracked and emailed to subscribers in a .pdf nightly. 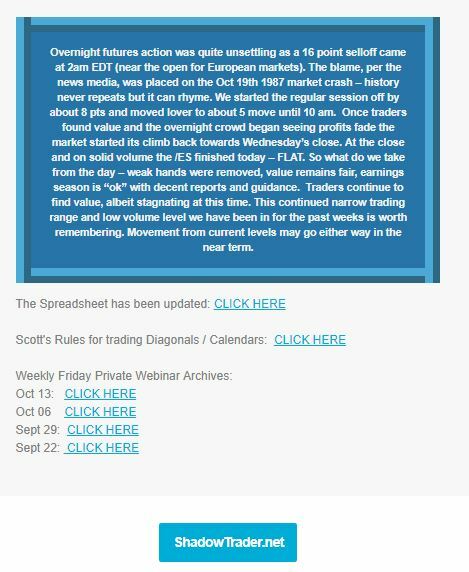 Options Advisory subscribers also receive periodical AUDIO clips from Scott that give details on current or new trades. Time Spreads Advisory members also automatically receive Peter’s “What’s Peter Thinking”. audio clips. These are short (from 30 seconds to 2 minutes) recordings that Peter records on the fly when he is seeing something that warrants a “heads up!”. Many traders have written us that these alone are worth the price of the service. Additionally, subscription to the advisory includes admission to our weekly “Members Only” webinar which is held on Thursdays at 4:15pm EST and is closed to the general public. These webinars, moderated by Peter Reznicek and Scott Gillam, will include a full technical analysis of all major averages including market profile on the /ES, all of our ideas for new options trades that we are looking to enter in the coming week, a detailed update on all trades currently open in the advisory, and a Q&A session where traders can ask anything they like about the strategies and trades.